Brian was born and raised in San Antonio, Texas. He was blessed to have two loving, amazing, and hard-working parents that provided excellent role models for him. Due to the values instilled by his parents, Brian has a strong desire to help those in need and to be a positive influence in the lives of others and in the community. It didn’t take long for Brian to realize that he wanted to be an attorney when he grew up. Brian has always had strong opinions and has never been afraid to speak his mind. Even as a child and teenager, Brian loved to argue in support of causes he cared about and was passionate in defense of people that were close to him. Brian’s father has joked with him countless times over the years that he would argue with a fence post. During high school, Brian joined the debate team and began to work towards his dream of becoming an attorney. During his junior and senior years of high school, Brian was selected to travel to Boston, Massachusetts to compete in debate competitions at Harvard University. Brian graduated with honors from Roosevelt High School in 1994. With the assistance of an academic scholarship, Brian attended Baylor University in Waco, Texas where he majored in management and received a Bachelor of Business Administration in 1998. While attending Baylor University, Brian met the love of his life, Kristine Wallace, in the fall of 1995. Brian and Kristine dated during the remainder of their college years and while Brian attended Baylor Law School. Brian knew he wanted to marry Kristine for quite some time, but he also wanted to complete his education and be sure that he could financially provide for Kristine and the children they hoped to have one day. As Kristine would say, Brian “finally” proposed in the summer of 1999. Brian graduated from Baylor Law School and received his Juris Doctor in February of 2001. After Brian was admitted to the State Bar of Texas in May of 2001, Brian and Kristine moved to San Antonio for Brian to begin his legal career. Brian began working as a litigation associate attorney at Allen, Stein & Durbin, P.C. shortly after moving to San Antonio. Brian was fortunate to work for and learn from some excellent trial attorneys at this firm while he remained there until December of 2011. In January of 2012, Brian co-founded the law firm of Jacob Jordan, P.L.L.C. in San Antonio, Texas. In September of 2016, Brian founded the law firm of BSJ Law Group, P.L.L.C. also in San Antonio, Texas, and has served as its managing attorney from its founding up to the present. Under Brian’s leadership, BSJ Law Group, P.L.L.C. was proud to announce the opening of its second office location in Waco, Texas on July 1, 2018. Brian has over 17 years of civil litigation experience providing representation to individuals, businesses, and insurance companies throughout Central and South Texas. Brian focuses his law practice primarily on personal injury, wrongful death, and construction dispute matters. Brian also represents telecommunications service providers against negligent excavators, contractors, subcontractors, builders, and other businesses that cause damage to underground and/or aerial telecommunications equipment. Brian is admitted to practice before all Texas state courts, as well as the U.S. District Court for the Western District of Texas. Brian has successfully tried to verdict jury trials, involving a wide range of subject matter and alleged damages, in multiple venues throughout the State of Texas. Brian believes that the practice of law is a calling, not just a profession. Brian strives to be a positive influence in the lives of his clients and further hopes that each client he serves will have a more positive view of the legal profession after his representation of them. When Brian is not working, he loves spending time with his beautiful wife, Kristine, and their 3 children. Brian and his family are avid fans of all Baylor sports and have been long-time season ticket holders for Baylor football and more recently men’s basketball. They have been known to plan family vacations around Baylor football road and/or bowl games. Brian also enjoys attending his kids’ sporting events and loves to travel with his family. Brian has been recognized as a “Top Rated Personal Injury Attorney in San Antonio, TX” by Super Lawyers. Brian has also been recognized as one of Super Lawyers “Rising Stars” for the State of Texas in 2011, 2012, 2013, 2014, and 2015 (and as published in Texas Monthly), which is a rating service provided by Thomson Reuters of outstanding lawyers from more than 70 practice areas who have attained a high-degree of peer recognition and professional achievement. This selection process includes independent research, peer nominations, and peer evaluations. In order to be eligible for Super Lawyers “Rising Stars” a lawyer must have been 40 years of age or younger, or have been in practice 10 years or less, at the time of the selection process. Only 2.5 percent of eligible lawyers in the State of Texas were selected for this recognition. Brian has been recognized and rated by the Martindale-Hubbell Peer Review Ratings as an “AV Preeminent” attorney since 2010 and up to the present, which represents a peer rating with the “Highest Level of Professional Excellence.” The Martindale-Hubbell Peer Review Ratings represents that it is the gold standard in attorney ratings and that it is has been recognizing lawyers for their strong legal ability and high ethical standards for more than a century. The Martindale-Hubbell Peer Review Ratings allows attorneys to complete anonymous peer reviews where they rate fellow lawyers on a scale from 1 (lowest) to 5 (highest) in five categories: Legal Knowledge, Analytical Capabilities, Judgment, Communication Ability, and Legal Experience. The peer review attorneys are also asked to answer whether or not they believe the lawyer they are reviewing has very high ethical standards. 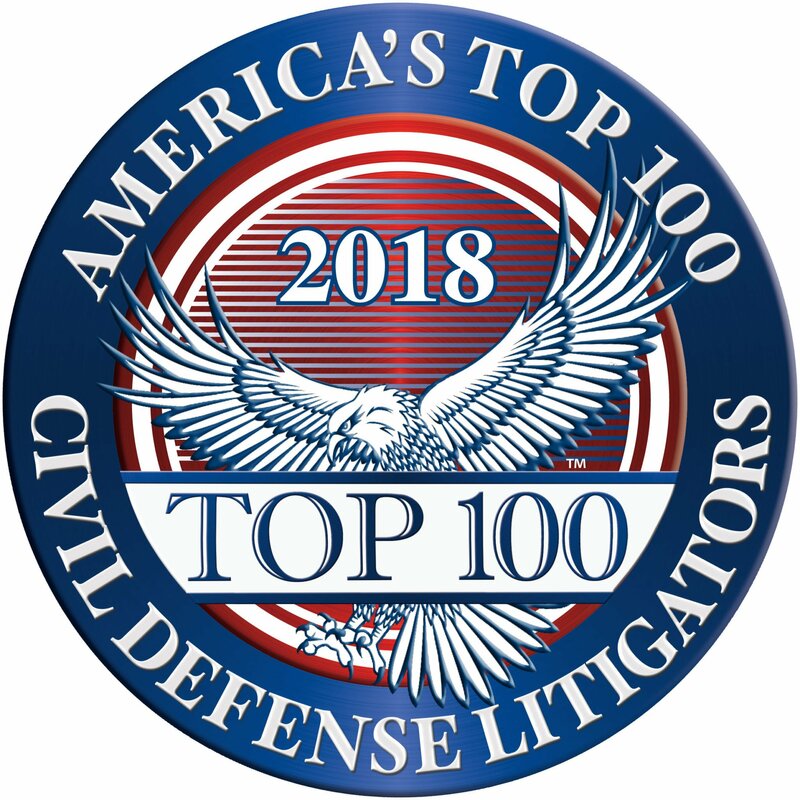 The “AV Preeminent” rating by the Martindale-Hubbell Peer Review Ratings signifies that a large number of the lawyer's peers rank him or her at the highest level of professional excellence for their legal knowledge, analytical capability, judgment, communication ability, legal experience, and ethical standards. 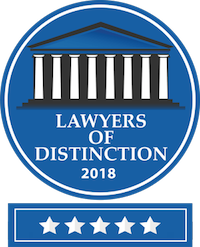 Brian was also selected for membership in Lawyers of Distinction on August 6, 2018, which recognizes excellence in the practice of law. Selection for membership in Lawyers of Distinction requires that an attorney be nominated by his peers or chosen for membership by the Selection Committee of Lawyers of Distinction. Selection criteria for membership in Lawyers of Distinction is based on the following factors: legal experience, honors/awards, past case results, verdicts/settlements, special certifications, representative clients, professional activities, educational background, pro bono and community service, scholarly lectures/writings, and any other outstanding achievements. Lawyers of Distinction membership is also limited to no more than 10% of eligible attorneys practicing in each state. Brian has also been recognized in San Antonio Scene magazine (September issue) as a "2018 SA Top Personal Injury Defense Lawyer" as voted on by his peers.